Often deemed the founder of British radicalism, John Wilkes (1725-1797) had a shattering impact on the politics of his time. 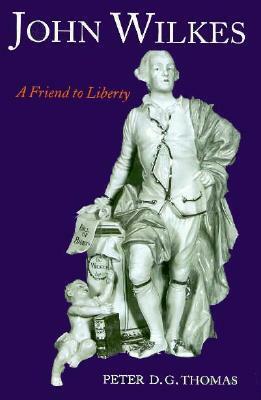 His audacity in challenging government authority was matched by his skill and determination in attaining his objectives: the freedom of the press to criticize ministers and report Parliament; enhanced security for individuals and their property fromOften deemed the founder of British radicalism, John Wilkes (1725-1797) had a shattering impact on the politics of his time. His audacity in challenging government authority was matched by his skill and determination in attaining his objectives: the freedom of the press to criticize ministers and report Parliament; enhanced security for individuals and their property from arbitrary arrest and seizure; and the rights of electors. In this fascinating and original biography, Peter Thomas provides an intriguing portrait of the man George III referred to as that Devil, Wilkes'.